Emraan Hashmi will play the role of a spy in the series. Netflix India is all set to start work on another Indian thriller after Vikram Chandra’s 'Sacred Games'. This time, the series will be an adaption of Bilal Siddiqi’s bestseller 'Bard of the Blood'. 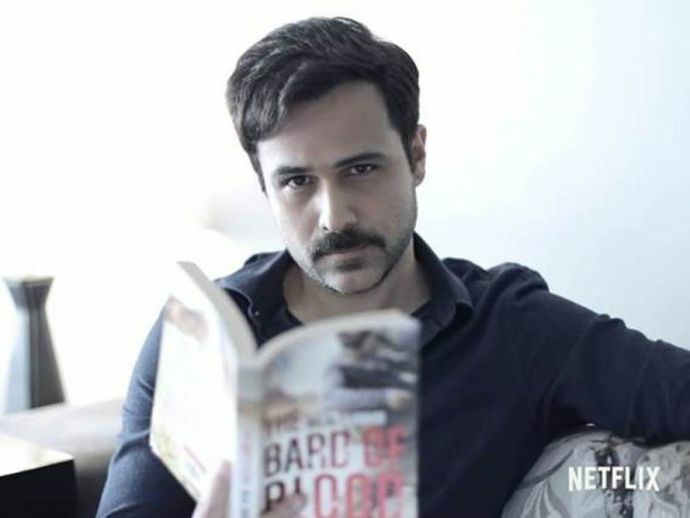 Starring Emraan Hashmi in the lead, the espionage tale will be produced by Shah Rukh and Gauri Khan’s Red Chillies Entertainment. The series will also feature actors like Vineet Kumar Singh, Kirti Kulhari and Sobhita Dhulipala. While the show is already on floors, it is expected to get completed by next year. Day 1 of #BardOfBlood. Seeing it come to life after 18 months of work with @_gauravverma @msc_tewari #yogendramogre. Surreal. Thank u @iamsrk sir for the support. Blessed to be working with a great team - @therealemraan @kulharikirti @sobhitad @itsvineetsingh amongst many others. ???? Published in 2015, 'Bard of Blood' is Siddiqi’s first novel. The multilingual series will tell the story of an expelled spy, Kabir Anand, who is recalled from his new life as a Shakespeare professor in Panchgani to save his country and a long-lost love.